Home ElectionHub Elections 2019 | NC-Congress afriendly Dangal in J&K to cost whom? The Regional National Conference (NC) and the Congress on Wednesday decided to forge an alliance for the Lok Sabha polls in J&K. Interestingly, as per the terms of alliance announced by the NC president, Dr Farooq Abdullah and Congress’ Rajya Sabha MP Ghulam Nabi Azad, the two parties will engage in a “friendly contest” in three of the state’s six Lok Sabha seats. The Congress will not field any candidate against Dr. Abdullah, who will seek re-election from theSrinagar constituency. In return, the NC will not field any candidates in the Jammu and Udhampur Lok Sabha seats in the Jammu division against the Congress. In the remaining three seats of Anantnag, Baramulla and Ladakh, it is going to be an electoral fight between the NC and the Congress although the leaders of the two parties have called it a “friendly contest”. 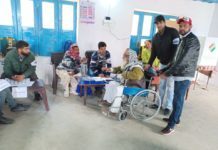 There is little doubt that the voter turnout in the three Lok Sabha seats of Anantnag, Srinagar and Baramulla is going to be low. The last by-poll was won by Dr. Abdullah from Srinagar in 2017 with just a seven per cent voter turnout. The seat had fallen vacant after Tariq Hameed Karra resigned from both the Lok Sabha and the PDP. Karra had won the seat for the PDP in 2014. 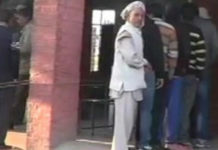 What if the NC and the Congress voters in Anantnag and Baramulla cast their votes according to party loyalties and thereby pass on the advantage to rivals belonging to other parties like the PDP, the Peoples Conference (PC) headed by Sajad Gani Lone and the J&K People’s movement (JKPM) headed by former IAS officer Shah Faesal? 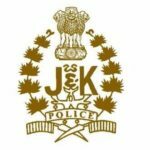 The NC has decided to field Justice (retired) Hasnain Masoodi from Anantnag. The Congress wanted to field its state president, G.A. Mir. After the two parties reached an agreement on an alliance, it is now unlikely that Mir would stand from this seat because that would seriously undermine Masoodi’s chances to win. The PDP is likely to field its president, Mehbooba Mufti, or its senior leader, Abdul Rehman Veeri, from Anantnag. If the NC and the Congress candidates in Anantnag divide their vote bank in such a manner that the PDP candidate polls more votes than the candidates of the NC and the Congress poll individually, would not the friendly contest become a self goal for the two alliance partners? Similarly, in Baramulla, the NC has fielded senior leader Muhammad Akbar Lone. Lone is likely to be challenged by Shah Faesal of the JKPM, Raja Aijaz Ali of the PC and Abdul Qayoom Wani of the PDP. Here again, the NC and Congress will fight a friendly match that could cloud Lone’s victory prospects. The Congress candidate may poll lesser votes than Lone, but what if the Congress candidate steals Lone’ s victory margin against the PC and the JKPM? Sajad Lone has strong pockets of support in Kupwara district. Shah Faesal might be a new entrant in the political arena, but given the support of the youth he has been getting, the NC cannot wish him away as a challenge to Lone in Baramulla constituency.